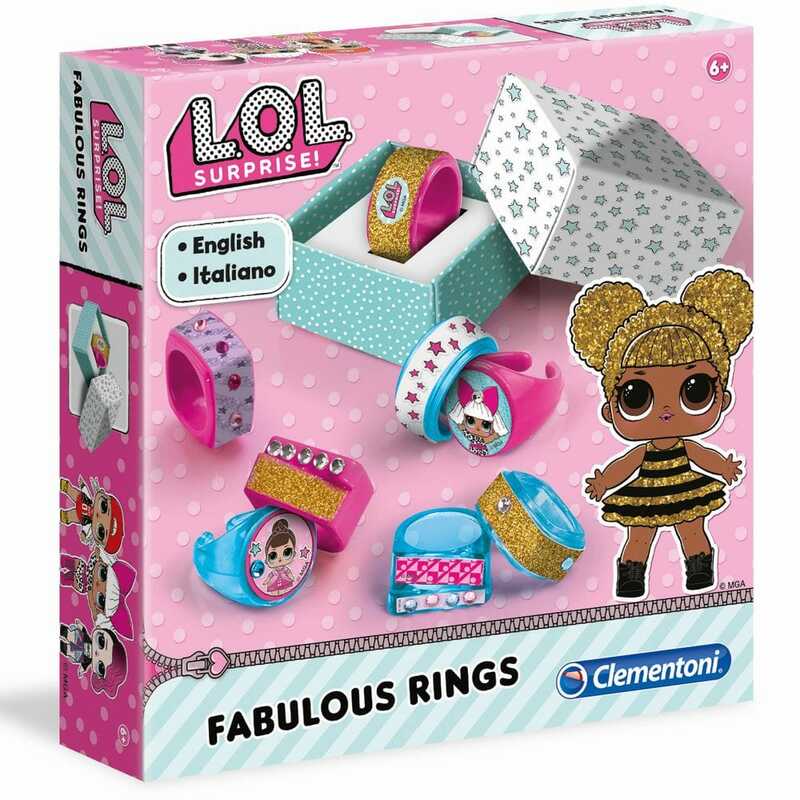 A great fashion accessory from LOL Surprise, create and have fun designing your rings with stickers, glitter and a sparkly adhesive gems perfect for you and your friends. The bright colourful plastic rings each have their own pretty ring box swap ideas with your friends. Contents: coloured plastic rings, LOL Surprise stickers, adhesive rhinestones, glitter powder, pretty texture paper for making boxes and illustrated manual.